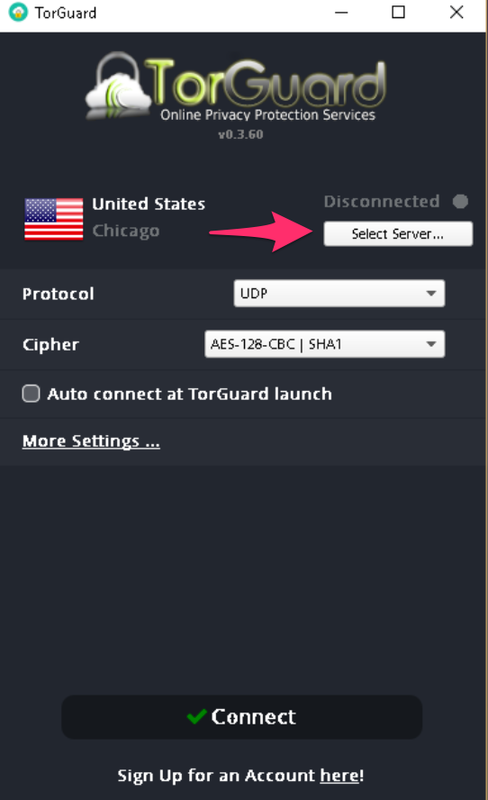 Now you can use your port forward and dedicated IP's inside TG Client in a few steps. 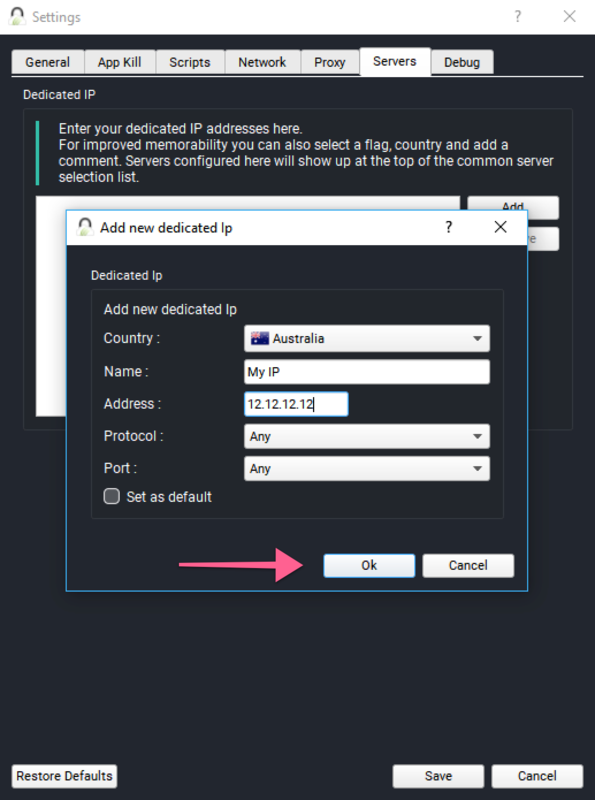 Step 1) -Load up TG Client and click "More Settings..."
STEP 2) Select the tab "Servers" - on this tab you will select the Location your IP is based, enter a name for this connection i.e. My AU Dedicated IP, enter your Dedicated IP or Port Forward IP from your Activation Email and click "Add", then hit save. 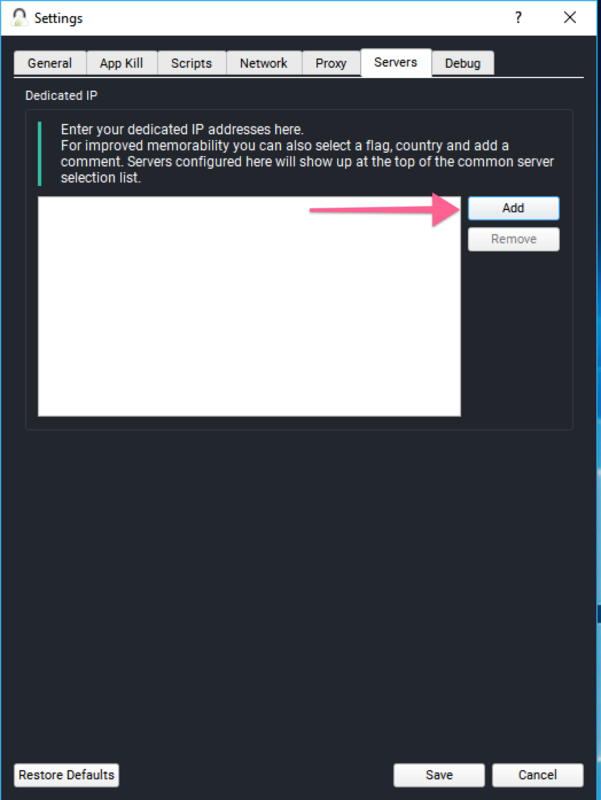 STEP 3) Now click on "Select Server..." to view the country selection list and you will see your config located at the top of the config list. STEP 4) Just click your config and connect as usual.